‘No But’, ‘Yes But’, ‘Yes And’, and why to just go with what has always been ‘YES’? In the cut and thrust world of converting Jews to what is after all just a re-packaging of Christianity, there is yet another endeavor to gain a legitimacy to ‘Messianic Judaism’ via a scholarly route. The scholarly route in this case provided for example by the Messianic Jewish Theological Institute (MJTI) through various blogs (cached version) and websites to give ‘real’ academic qualifications. The scholarly route of course no doubt appealing to the Protestant work ethic of these Christians, woops, I mean ‘Messianic Jews’ who possibly pander to the belief that life is not worth living if you do not have a job. Of course to have a legitimate job, you have to have legitimate academic qualifications! Is that not right Mr. [Microsoft] Bill Gates et al? Judaism has in fact survived, prospered and continues to prosper without so called legitimate qualifications. Besides, this is not the first time in recent history where there has been a concerted attack upon legitimate Judaism. Legitimate Judaism is of course Orthodox Judaism, which up until two hundred years or so, was just about the only version of Judaism out there. Two hundred years ago, the concerted attack came with the so called enlightenment or Hascala movement. The Hascala movement gave birth to todays Reformed, Conservative, Liberal, Progressive and Re-constructionist Judaism movements. A feature of the ‘superiority’ of such new movements over Orthodox Judaism was of course that their ‘Rabbis’ had ‘real’ qualifications from real academic institutions!! No doubt the above paragraphs will provide ready ammunition by Stuart Dauermann et al to say that Menashe is yet again making ‘grist for the mill’ for his agenda of undermining what invariably ‘plops out’ of the public organs of Messianic Judaism. Well it is not so much what comes out of these public organs or indeed what they have to offer. After all I have in the past succumbed to the goal of getting a couple of academic qualifications myself but I do not wish to brag—-now do you Mr. M. Walsh B.Sc. (Hons), M.Sc.? Like as if my qualifications disappeared, become worthless or I lost my job I cease to exist too!? There are of course limitations as to what academic qualifications can achieve. Something glossed over by most ‘messianic Jewish’ groups is that a person’s status as a Jew according to Orthodox Halacha and/ or becoming a Rabbi have never depended on having an academic degree. Orthodoxy quite happily stands on its own in terms of applying (to real communities) and validating the G-dly knowledge and wisdom of its people and/ or Rabbis, and has been doing so way before any University. This G-dly knowledge and wisdom we Jews call Torah, exists as a book within the Jewish people. Everyone knows what those “symbols on your hands” and “on your foreheads are”, just as they know what is to be written on the doorposts of their homes and how to make strings on the corners of their garments. There will always be Jews doing those things. The book has meaning only within the context of our people, our experiences as a people, and the way that our people have unfolded and applied that which we have received. In common with both the Reformed Jewish movement et al and to a large extent within ‘messianic Judaism’ is the rejection in varying degrees (no pun intended) of this G-dly knowledge and wisdom because this G-dly knowledge and wisdom is ‘Rabbinic’ Judaism. Neither for that matter has a non-Jew ever become Jewish by just doing the practices of Judaism and certainly not whilst believing in Jesus. At least this last point is one thing which the Orthodox, Reformed, Conservative, Liberal, Progressive and Re-constructionist Judaism movements are agreed on! All that has been said above leads me to another prong in the efforts of the MJTI et al to gain legitimacy and acceptance from any of the movements of Judaism mentioned so far. Attempts for legitimacy now of course include the study of ‘Rabbinic’ Judaism. The inclusion of ‘Rabbinic’ Judaism would appear to be a new way of evangelism and may address the growing problem(?) of intermarriage in Messianic Judaism and how the Christian part of ‘the intermarriage equation’ deals with the Jewish in-laws. In a case where the Jewish in-laws are just academic at heart, the Christian part of ‘the intermarriage equation’ or even the other half of the equation may be able to use impressive academic terms such as “an anticipatory or proleptic position”, “a post-supersessionist position” or a “post cryptosupersessionist position”, to help them in their evangelistic efforts with their Jewish in-laws . Yep I think you are onto a winner with this one Stuart! However, where the Jewish in-laws are just too frum to appreciate academic reasoning, it may be beneficial to ignore centuries of grimed in distrust or ridicule of the halachic rulings of the wider Jewish community. Instead, why not pander to the Jewish in-laws by convincing them, by your elevated observance, that the Torah is best interpreted in concert with the historical stream and transgenerational discussion of that people to whom it was given? Alternatively, where the Jewish in-laws are neither academics or too frum but instead more business and/ or marketing orientated, it may be possible to use the “Yes and” approach. Implicit in the above, apart from the obvious need to ‘win’ them Jewish in-laws, is the nauseating idea of an evangelical paradigm that the Yeshua believer is somehow superior! Winning them Jewish in-laws to Yeshua means they are not going to get thrown onto the eternal BBQ (as per Mark 16:16) because they have accepted the superior offer! Of course such black and white terms of the evangelical paradigm presented in the New Testament, Stuart Dauermann conveniently chooses to deny by saying that no such things are said in the apostolic writings which witness the efforts of the apostles to convert Jews to Yeshua. Moreover, to divert further, Stuart claims I have stolen and projected onto his paradigm. 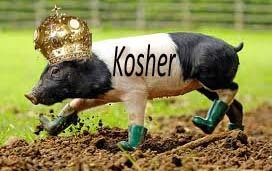 The bottom line, no matter how Messianic Jews try to ‘spin it’ in the present with various new tricks, Yeshua will never be Kosher just as no matter the number of times one scrubs a pig will ever make the pig Kosher either! The answer is YES Stuart and has always been without ands, buts and/ or degrees! et al, is Latin for ‘and others’ by the way. The definition of a Halachic Jew according to Orthodoxy is that a person’s mother and their mother’s mother are Jewish or that a person has undergone a recognized Orthodox conversion to Judaism. In either case Jews are Jews and nothing will stop them from ceasing to be Jews, regardless of their level of observance within Orthodoxy or any other ‘ism’ of their choice. 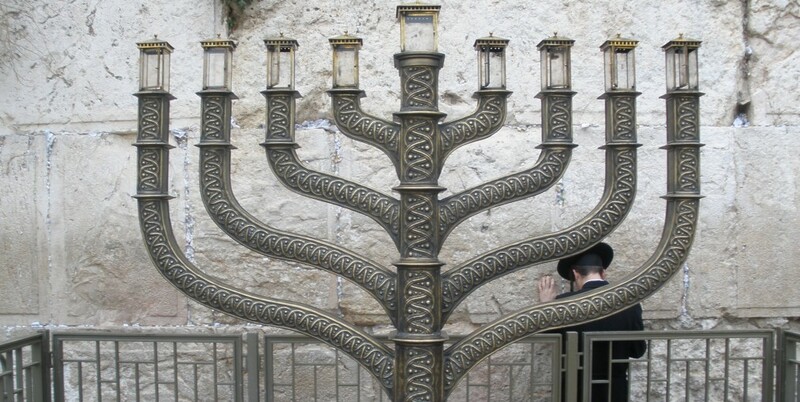 According to Orthodoxy a conversion to Reformed, Liberal, Re-constructionist and Conservative movements is not recognized as a valid conversion and so in terms of Orthodoxy a non-Jewish converter to non-Orthodox Judaism is not Jewish. 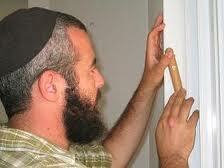 To become Jewish one needs a Halachic Orthodox conversion. It should be noted that according to Orthodoxy, for a Jew to practice Christianity or a variant of it such as Messianic Judaism, that Jewish person is placing themselves in a situation of potential spiritual excision or to be cut off from the world to come for practicing idolatry. A non-Jew according to some opinions with respect to Christianity, similarly has the potential to be cut off from the world to come BUT according to other opinions not. Whilst a doubt may hang over the non-Jews fate with respect to their belief and practice of Christianity, the case is absolutely clear for the Jew……potential spiritual excision or to be cut off from the world to come. In the present as long as a Jew practices idolatry by believing in Christianity, it is as if the Jew is no longer a Jew and may indeed be in a worse situation as the non-Jew who practices and believes in Christianity. Repentance for the Jew from belief and practice of Christianity is vital if they are to avoid being cut off from the world to come. The Yiddish adjective frum (Yiddish: פֿרום; [frum | frim]), from the German fromm, meaning “devout” or “pious”, is a Yiddish word meaning committed to be observant of the 613 commandments, or Jewish commandments, specifically of Orthodox Judaism. This appellative is used in reference to Orthodox Jews. To remove matter thought to be objectionable or unsuitable from a book or account. Good article Menashe. I have pondered this part of the messianic movement aswell and believe it is like a ‘house built upon the sand’ (to, ironically, make use of a well known phrase). It’s basis is Christianity through and through despite the ‘rabbinics’ they study or claim to practice. One only needs to trace the history of the movement back through the generations. They have merely built and decorated another floor on this wobbly house which itself stands upon rotting and unstable foundations. At some point they are going to realise that they need to abandon the house completely and join that which is built upon the rock of true Torah – Rabbinic Judaism itself! In fact, there are many, if truth be known, leaving them already and turning to Rabbinic Judaism as they realise the truth. You have NO idea how messy the Messianics really are….and I include both converted Jews and converted Christians.The attack on Rabbi’s and Sages is unbelievable. Rabbis know absolutely nothing, they have the calender wrong, they entirely lack wisdom and interpretation, they are FULL of sin….these people are worse than any religious sect I’ve ever seen. The in fighting is as unbelievable. Lee, I can’t agree MORE!!! Messianics do have a use …. all be it a “sign post” that most stop at rather than continue past. Why Do I say that … My personal experience is that the Messies highlighted the Christian claims to be foundered on Judaism and that Jesus(Yeshuha) was a Torah observant Jew. This was one of the factors causing me to look at Christianity closer, even thou I had spent my entire life up to that point being a Christian. The closer I looked, and the more I examined Jesus, the more I realized that Judaism was the root of every thing I believed. As a result of this examination I came to the conclusion that Christianity and it’s claim of Jesus as the messiah was incompatible with Scripture, in particular the Old Testament (Tanach). So as a result of messianic activities I have renounced Christianity, Jesus as the messiah and am embracing Orthodox Judaism. Sadly thou many do not see Messianic Judaism or Messianic Christianity for what it is … Christianity with slightly different terminology. Rob, That’s why I call the Messy Maniacs…. If a Jew practices normative Judaism(Rabbinic) you are a Jew.You can believe in Rebbe Shneerson,Yeshua or whatever.The common Jewish belief is Messiah is totally a human being and not G-D in the flesh. Believing in a presumptive messiah is not prohibited.There are several people I know that believe Yeshua met certain qualifications,but failed when he was killed by the Romans.They believe He will return in the end days as King Messiah.Of course there are some who are waiting for the grand Rebbe to return. 3) As the New Testament says: “Therefore by their fruits you will know”, the Rebbe worked always towards Judaism, the messianic guys towards Christianity. And I can go on but think it is enough. ALL faith (in the Creator) is surely personal before it can be social – no amount of education or experience can change that, although it can be tempered by experience, thought and contemplation. It can be aided and improved with the assistance of authoritative informed guidance and dialogue – but that is not always best obtained from where one might be expected to find it.Having said that, what I learned “at mother’s knee” changed as I grew up and entered the real adult world – I needed to be informed and “inspired” for myself, since others around were inclined to accept what they were told on the basis of such authorities, but I was left with some issues unanswered or avoided. So I embarked upon a Uni. course in Theology – it did not make me an expert, but questions were addressed honestly and openly and also on occasion in fact I became even more challenged! I found it healthy and invigorating for both mind and spirit; I also attained some interest in the thoughts and opinions of others – that liberated me from a prison of my own outlook and learned attitudes, that were not always adequate to address various circumstances in which I found myself. Therefore I have every sympathy with anyone coming to their own knowledge, understanding and belief; all the same, these need to be checked out credibly – to avoid any elements of self-delusion or “circular thinking”, not grounded in “reality”. Not to mention the risk of “the blind leading the blind” in any understanding! The idea that ALL faith is surely personal before it can be social is a Christian Idea as per Acts above. The redundancy in Ex 3:6 speaks the opposite, i.e. the Jewish idea to indicate that faith was first social and then only after did Isaac and Jacob discover G-d for themselves so that the G-d of Abraham also became the G-d of Isaac etc…! Circumcision being a good example of social faith. The Anglicans and the Catholics et al have to a certain extent retained this Jewish idea too WRT infant baptism and subsequent confirmation being also paralleled with a Bar/ Bas Mitzvah for example. Common to both ‘confirmation’ and Bar Mitzvah is that they are not recorded in the words of the Bible. Examples/ evidence of ongoing Oral Law/ traditions as part of social framework for religious practice one might say? Sorry, I missed this one about the Bar Mitzvah parallels. Yes, I believe you’re right on this wrt to oral laws. It was brought in by the early Church Fathers – as you say, not original However there is a growing trend however in some circles (not CofE) for adult “Believers’ Baptisms” whether or not previously christened – and that is contrary to the Nicene Creed (Article 8 of the Anglican 39 Articles): Confirmation takes care of that (minimum age 11 but usually late teenager or adult) – three cheers for diversity in denomination, as I often point out! Beware broad assumptions! Personally, I find this article to be full of errors, not about messianic “Judaism” (misnomer, should be messianic xtianity), but about Judaism and the shared anachronism I see presented by the many misinformed “orthodox” Jews. Most of the terminology here and in the responses even reflect christian terminology and usage imposed, or rather, used to speak for Judaism when they can’t be used for anything in Judaism (torath moshe). No one here is a Christian, barukh H”, but you will be surprised as to how Christian the language used here is. The misusage of the jewish concept of faith here is borrowed from Christian standard, orthodox, belief, as well as the anachronism of imposing “orthos doxis” upon all Judaism pre 1800s. Pre orthodox, to which the reform were the 1st of the 3 that emerged from the haskala, there was no such thing as orthodox. The Jews that continue the old system also do not identify as orthodox though they are seen by the ignorant as orthodox. Their practices of Halakhah and their methodology in understanding Halakhah runs keneged that of orthodox and reform. The modern orthodox has closer overlaps to the older judaic system, however. In any case, I just wanted to present you with there concepts in passing. Also, your quote of the yad, is this in hilkhoth melakhim? You never stated which sefer in M”T? The purpose of the blog is to address those in transition between to opposites. If you find the article too Christian in wordage you have probably missed the point! No, I didn’t miss the point. But it does seem that u are missing the points I have made. As I have said, I find no fault in ur address against messianic Xtianity. So, was the point missed? I’ve read through quite a few of your blog posts, and they are very well written. I however think that the translation you may be reading from, when you reference “New Testament” (NT) writings is driving the outcomes of some of your concepts/theology. NT writings, translated from Greek thought, do not align with the Hebrew writings very well, therefore a deeper look at those scriptures is needed. You reference a bunch of Pauls writings in other articles and the outcomes of your thought process/concepts are out of Torah bounds – which is not the case when sitting back, researching a bit more and getting into the nitty-gritty of the translation/transliteration errors and see that Paul was a Pharisee amongst the best of them, and upheld Torah. As for the “messy-anics” your right, they are very messy, however, give them a break. They realize that “christianity” is nothing more than an outcome of Constantines directives (325AD) as well as the well-formulated Catholic Church promulgation of historical manipulation and the “churches” pressing of their system onto a people in order to control and conform the masses. The messianic groups are realizing that some of their counterparts have never left the Catholic ideologies (protestant, pentecostal, non-denoms et al) and are setting themselves even further apart from those groups called “messianic judaism” and moving towards Torah observant and/or Hebrew roots naming conventions. I wouldnt be too quick to judge these people; you and they have very common ground and, you and they can work together in understanding the big picture better. These “set-apart” people hunger for understanding, but understanding not from man-made theology – they were caught in that trap! They do not want to go outside Torah, they want to live, eat, sleep – essentially be Torah, be a light, to those around them. They hunger for truth, this is one of the biggest drivers of this set-apart group of people. One other thing, you offend when using the name “Jexxs” = it is a result of a pagan deity, not the name of the Messiah. I recommend that you do not lump this set-apart group into mainstream christianity or mainstream “messy-anic” groups because you will lose them, you will end up losing the value they may bring to “your world”. I have to say, madam, that that is a grotesque misrepresentation or over-simplification of the current global situation of my understanding and faith – even tho’ I also have to say that to a degree I understand where this comes from. I am a post-Reformation Anglican with contacts in all denominations and in Judaism, both Orthodox and Messianic – I am not one of the latter but I value the Jewish roots of my faith. I am a professional person, reasonably well educated (inc. theology at Uni. level) – and *NOBODY* tells me what to think or do! I check out contentious matters or interpretations for myself – and I wince at glaring partisan hermeneutics as tho’ they were genuinely objective and impartial, sometimes clearly disingenuous. I would not presume to make sweeping generalisations about Judaism (and its own “denominations”): specific ambiguities I would check out for myself, using authentic modern translations/paraphrases and commentaries. You started your post interestingly – and then tailed off into diatribe. Your own “agenda” is actually unclear – are you Christian or Jewish (you appear to indicate that they are not necessarily watertight compartments of understanding)? Will you nail your own colours to the mast? 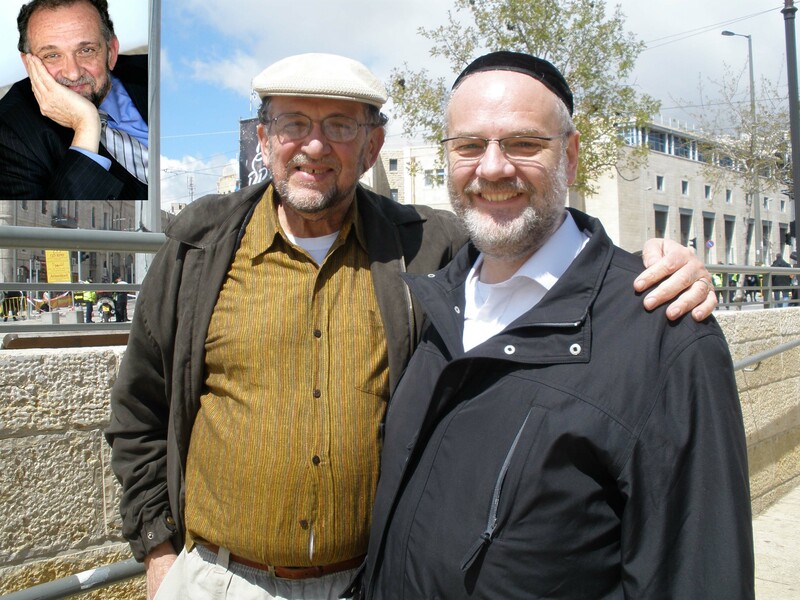 I thank you (and Menashe, as ever!) for an interesting read – though I have to be careful: thanks to Menashe’s blogs, my gnashers are steadily grinding down to stumps! Shalom! I am not willing to “tag” myself with a man-made theological representation aka religious affiliation whatsoever. So, there are my colors sir. That is, of course, your prerogative: no colours at all. Anyone’s understanding is entirely personal – *no-one* has the right to intervene: so I do not “tag” myself to any organisation either. I *choose* to seek the Christian way in my life – “denomination” is incidental. What neither of us has is the right to distort the understandings of another either knowingly or carelessly. It is entirely in order to enquire, query, research, challenge, etc. on the basis of personal experience, research, thought, etc. – and to afford that right to others, not confusing fact with opinion, nor making swathing assumptions recklessly. “How so”, you ask of my initial statement? That is a long and personal story that I’m not inclined to go into here! Pleased to meet you here! Peter, your making claims that I am reckless in my original statements. Please read about Constantine, what he did against the Jews, and then involve yourself in the history of the Catholic Church, and then bring yourself up to par on the ‘splinter’ denominations that resulted from the breaking apart from the Catholic Church but their continuation to hold onto many of the false teachings, even AFTER breaking from it. If what I stated was in error, then you can claim I was reckless. Sandra – I refer you to my first response, first paragraph quoting your post. Particularly ““Christianity” is *nothing* more than an outcome of Constantine’s directives (325AD)” [my emphasis] and “the “churches” pressing of their system onto a people in order to control and conform the masses.” These comments are so swathing as to be breathtaking – my point is, as I said, that “that is a grotesque misrepresentation or over-simplification of the current global situation of my understanding and faith”. That is *my* opinion to which I have a right – I claim not error but distortion: whether reckless or inadequately researched is not clear to me. Yes, there were issues with the RC as you indicate (and Martin Luther, whatever else he achieved, certainly got it badly wrong wrt Judaism) – that is why the Reformation occurred in the West. And I was referring to current conditions – I find reference to the Anglican church as a mere “splinter” denomination offensive and thus reckless, and your dismissal, in effect, of individual thought and understanding as mere “pew puppets” I also find grossly insulting. Your comments are so broad, ambiguous and indiscriminate that they may “absolve” you from error (for lack of specifics to latch onto) but not from recklessness. In effect you are dismissing me and countless others (including, btw, many who paid the ultimate cost of conscience in helping Jews during the Holocaust – Bonhoeffer, Sendler, ten Boom, etc, etc) without knowing a thing whatsoever about the people, their thoughts or their engagement. Is that not rash and/or arrogant and/or patronising in the extreme? I do not wish you personally any ill-will in this because I know nothing about you than what I read here – and I have no desire to either. But I could not allow your expression to go unchallenged either. And that is my right – as valid as yours. I make no appraisal as to which of us is better-informed overall on these particular matters: “come up to par” indeed – blasted cheek! Sowena – that’s best wishes in my native Celtic Cornish. Also, “bledhen noweth da” – Happy New Year! Do you not think of the fact that Christianity as an institution has made mistakes; human mistakes, which had nothing or little to do with his real message? Yeshua did not want to found a new religion at all, he wanted to make the jewish religion richer by implementing love and compassion into the practice of the Torah. Yeshua never wanted people to be slain by the sword because of him; he preeched a message of peace, not of violence. As Jeremiah says: At the end of times, the lie will be removed…which is the lie of religious institutions seperating and not respecting other groups, the lie of systems people believe in, as there is only one system to believe in: connection and love between people..
Oh dear, who have you been baiting now?! You always manage to catch something or someone! This one a bit slippery though (excited, grammar and spelling all to pot!) – I can see where you both are: futile of me to tell you that this person does have fair points to make, you won’t listen anyway! Shalom! As one who was raised as a Christian, I have noticed a paradigm shift or a new approach or new “theology” or a ” modernist apologetics” within Christianity. First, Yeshua is 100% Jesus, so there is no need to try to separate the 2 names as if we were talking about 2 different persons. Jesus is closer to the Iesous of the NT then “Yeshua”, so stick with the tradition, instead of trying to separate Jesus from the “mistakes of the Church” or Christians by using a different name. Next, most people only know about Jesus from what is written in the NT. That is what the “church dogma” and multitude of denominations is built upon. Most people never heard of Constantine; those who have, use him (or the RCC) as a “scapegoat”. Jesus didn’t write anything, so we don’t know what he taught or thought (there is plenty evidence that he was not even an historical person). What we know is in various relics or texts preserved over time. Those texts tell us that Jesus “has changed a bit”, but not as much as some modern apologists had hoped. The NT was “invented” in Constantine’s time. There was no “200 year gap” in the textual records of the Jesus story. So, what we see in the NT, is pretty much what the original author or Jesus wanted. There is no need to protect Jesus from the contradictions in the NT by blaming the “mistakes” on the NT writers or the Church. We see idolatry in the way Jesus presented himself or by the way the writers presented him. We see Jesus wanting “to start a new religion” (unintentionally or by mistake) or at least some NT writers made that mistake by writing things like “the Logos or the Word”, “the only way to the Father…”, “the Jews”, “he came not to bring peace, but a sword”, “eat my flesh & drink my blood”, etc., etc, especially in Matthew, John, & the Pauline letters. If those mistakes were not Jesus’s, but instead were the fault of the NT writers, then the “resurrected, living Jesus” at the “right hand of God in Heaven”, could care less how the writers and the churches and mistake-prone people have and still do present him.